A Rinzai Zen temple complex in northwestern Kyoto containing forty-six sub-temples, Myōshin-ji is known in Kyoto for its dedication to zazen meditation, its status as a Rinzai Zen branch head temple, a stellar ink painting of a dragon in the Hattō Hall, and its shukubō (temple lodging) experience. Walking through the paths of the temple leads you pass countless small sub-temples in their own walled areas, some open to the public with their own treasures and lovely points, and others kept private or only open for special ceremonies. 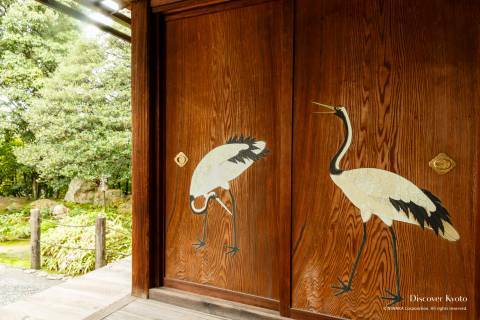 Despite its somewhat austere exterior, the interior of Myōshin-ji’s halls are covered in gorgeous artwork and steeped in history just waiting to be explored by the Zen enthusiast. 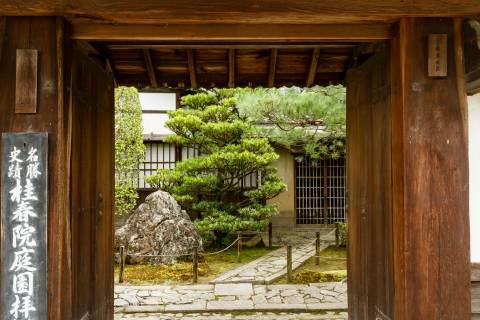 Myōshin-ji is known in Kyoto for its dedication to zazen meditation, its status as a Rinzai Zen branch head temple, a stellar ink painting of a dragon in the Hattō Hall, and its shukubō (temple lodging) experience. The most famous sight at Myōshin-ji is the Indian ink painting of a fierce dragon in the sky on the ceiling of the Dharma Hall. Only accessible if you participate in the temple’s guided tour, this style of dragon is called the Happonirami no Ryū, (Dragon Gazing in All Directions). Done by the famous artist Kanō Tan'yū, spanning 12 meters in diameter and taking eight years to complete, it is said that depending on the angle at which you look at the dragon it can appear to be either descending from or ascending to heaven. Also found within the hall is Okikicho, the temple’s bell. Cast in 698, it is the oldest temple bell still in operation in the whole world. 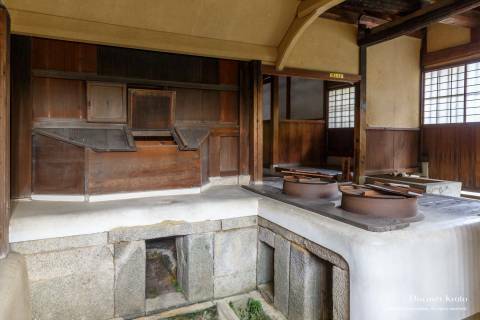 An interesting thing to find so prominently placed at a temple, Myōshin-ji’s Akechiburo is a bathhouse/sauna once used by priests for meditation and prayers amidst the steam. This building was dedicated to the memory of Akechi Mitsuhide, the infamous warlord who for reasons lost to time betrayed and orchestrated the death of his lord, Oda Nobunaga. After his insurrection, Mitsuhide paid a visit to Myōshin-ji, where his uncle was a priest, before he was later defeated and killed after the Battle of Yamazaki. 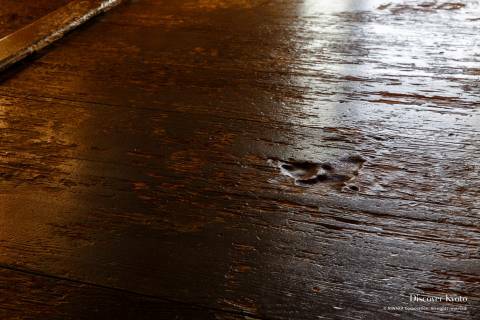 In the past, monks (and locals, too) would enter this wooden structure and close the door, bathing in steam and darkness as they meditated and prayed before scraping the sweat from their bodies and exiting clean. 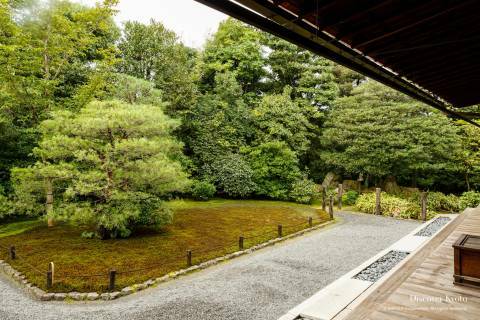 Myōshin-ji, as head of the Rinzai Zen sect, is the perfect place to experience zazen meditation or shukubō, staying overnight at a temple. 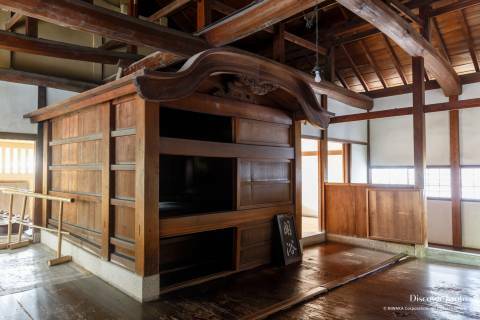 For further details regarding price, schedule, and more, please check Myōshin-ji’s official English website here. 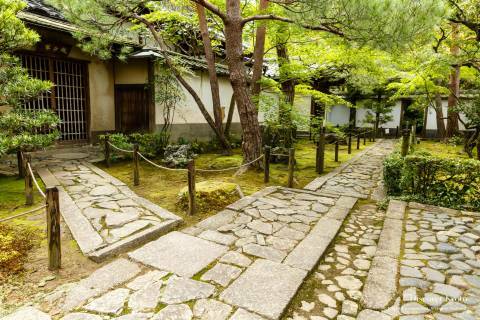 Founded in 1598, Keishun-in is located in the northeast corner of Myōshin-ji’s precincts, and is open year-round. 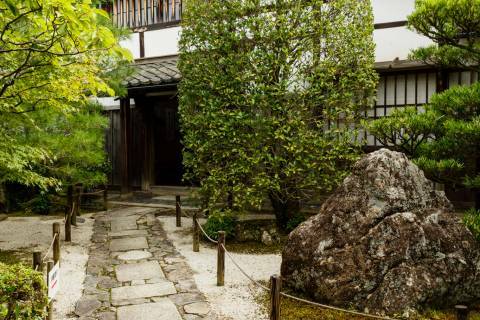 Though the temple is somewhat small, they are home to four separate gardens, each with their own charm, and offer a quiet place to enjoy the scenery. 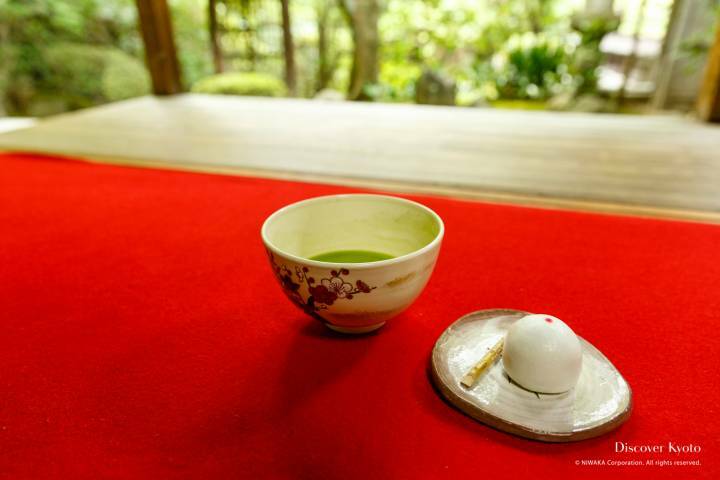 The Shōjō inner garden features an interestingly shaped window and a few steps past carries you into the tea room, from which you can partake in green tea and a sweet (\500) while viewing the Wabi garden and a charming traditional gate that leads to the lower elevation Shi’i Garden. Facing the temple’s main hall is its largest garden, the Shinyo Garden (Tathata Garden), which features a curved slope of azaleas leading to a lush backdrop of maple and pines. 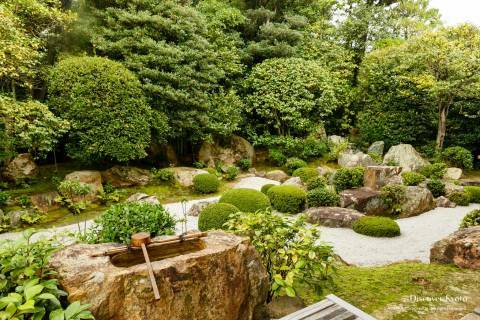 Visitors can borrow a pair of slippers and follow a short path around the back of the Shinyo garden as well, past beds of moss and a small shrine. The 95th Emperor of Japan, Emperor Hanazono, gained his name from the garden-rich Hanazono area in which he had built his imperial villa. Once he abdicated his throne in 1318, he came to dedicate himself to the study of Zen, learning from one Shūhō Myōchō. After receiving official confirmation of his awakening to the truth of Zen from his master, Hanazono was counseled from Shūhō’s deathbed to continue his studies with Shūhō’s disciple, Kanzan Egen. Hanazono converted his own imperial villa into a temple, which Shūhō named Shobo-zan Myōshin-ji shortly before the Zen master passed away in December of 1337. Myōshin-ji suffered several tragedies in the Muromachi period, including losing property to the Ashikaga shogunate and being burned down during the Ōnin War in 1467. However, the temple was rebuilt by the ninth abbot in 1477, and its property expanded by a donation of land that had formally belonged to nearby Ninna-ji temple. The infamous general from the Warring States period, Akechi Mitsuhide (1528 – 1582), had a maternal? uncle who served as a monk at Myōshin-ji. After betraying his liege lord Oda Nobunaga, who had almost united the entirety of Japan under his rule, Mitsuhide made a pilgrimage to Myōshin-ji during his thirteen day rule as Shogun before he was later defeated at the Battle of Yamazaki by the man who would inherit Nobunaga’s legacy, Toyotomi Hideyoshi. One legend asserts that Mitsuhide did not die fleeing from the battle but was instead wounded in Ogurisu and carried to Myōshin-ji, where he died one year later. In the Edo period, monks from Myōshin-ji were counted among those who rebelled against the fact that the Tokugawa shogunate had passed a law trying to control the relationship between the Emperor and religions institutions, banning the emperor for two years from bestowing honorific purple-colored robes, which was equivalent to a moratorium on giving certain promotions. 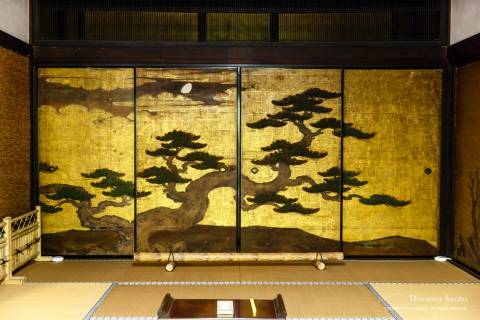 When Emperor Go-Mizuno’o was accused of having bestowed robes despite the ban, the shogunate got involved and invalidated the new ranks and exiled the honored priests, causing conflict between the imperial court, the great temples of Kyoto, and the new government in Edo (Tokyo). This came to be known as The Purple Robe Incident. 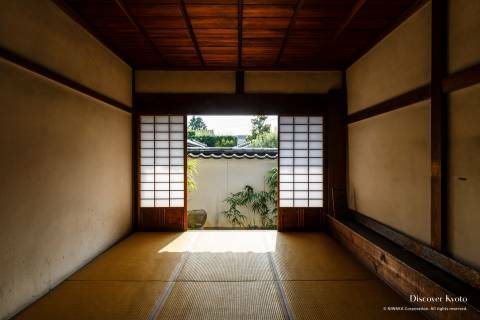 Though the Meiji period saw some oppression of Buddhism in favored of the government-sponsored State Shinto, Myōshin-ji continued its activities and expansions, establishing Zen training facilities and schools. 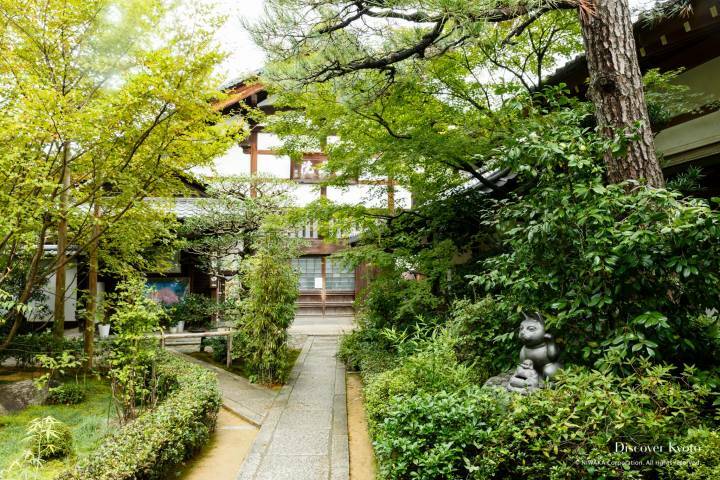 It also established its own Myōshin-ji branch of Rinzai Zen Buddhism, and acts as the head temple of what is now the largest branch of Rinzai Zen. 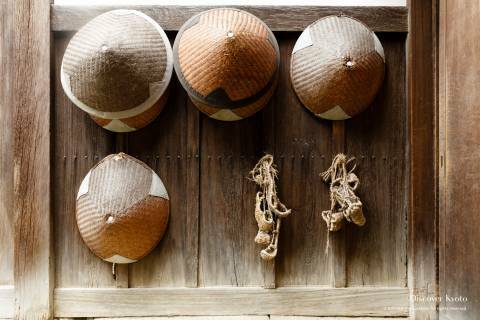 One major difference between the Myōshin-ji school and other branches is its customization of kōan, established stories, statements, and questions meant to test a student’s mastery of Zen, to fit each student. 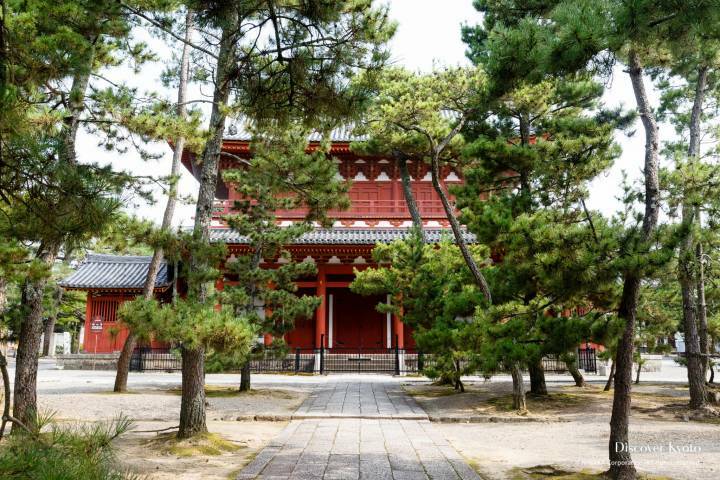 In the modern day, Myōshin-ji is composed of the main temple and 46 sub-temples, some of which are open to the public.